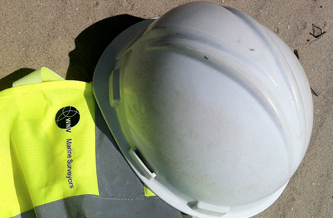 Our people - the surveyors and consultants - are the key to Van Woerkom, Nobels & Ten Veen's success. We are an unusually diverse group of professionals trained in nautical and technical fields. We draw on a vast pool of knowledge and expertise, allowing us to serve our clients across a spectrum of services. We are proud of our unique position and are continuously trying to maintain this diversity and high level of in-house knowledge. Our surveyors are therefore encouraged to keep up with the latest developments in their areas of expertise, to attend market-related functions and to share information with their colleagues. WNV welcomes applications from motivated people who are qualified in our professional fields and who can further enrich our knowledge resources. Van Woerkom, Nobels & Ten Veen employs surveyors who are NIVRE-registred, and are members of the SCMS (Society of Consulting Marine Engineers and Ship Surveyors), IME (Institute of Marine Engineers), KNVTS (Koninklijke Nederlandse Vereniging van Technici op Scheepvaartgebied), KIVI NIRIA (Koninklijk Instituut van Ingenieurs) and CEDA (Central Dredging Association).